This program provides you with what you need as a trainer, including the essential skills in presenting your program, the possession of sufficient confidence to create familiarity among learners, motivate them and increase cooperation among them, in addition to a proven learning strategy that guarantees the full involvement of the learner in the learning process, by improving your vocal and physical skills. 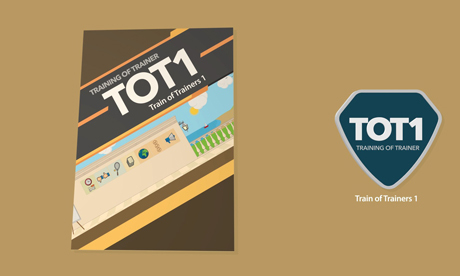 This program is directed at trainers, new instructors, trainers who have not conducted formal training in train of trainers, training managers and training designers. Apply the foundations of Accelerated Learning. Apply the adult learning principles. Begin the course with high influence using McClelland's theory. Attract the attention and interest of participants. Choose the learning techniques and present them. Develop exercises and manage them. Obtain feedback and present it during the progress of the learner in the learning process. Summarize the training and enhance its transfer to practice. Apply the non-verbal communication principles. Improve the use of voice skills. Enhance participation and cooperation in learning. Use the group learning activities. Ask and answer questions appropriately. Handle wisely the learners’ problems and other cases. Deal with his tension and control it. Analyze his learning style according to VARK. Establish an effective relationship with learners. Modify his learning style when necessary. Lead the discussion in class. Manage the class time effectively. How to create familiarity with learners. Nine important tips to answer the learners’ questions professionally. Five essential techniques for efficient listening. How to increase the learner’s confidence and self-appreciation. Simple techniques to increase participation and cooperation. How to motivate the participants to ask questions. Establishing the small group activities. Creating a fun learning environment. More than twenty ice-breaking techniques. The seven foundations of Accelerated Learning. The four-phase natural learning cycle. The seven principles of adult learning. Attracting the learners’ attention using McClelland's theory. What you need to know about learning objectives. The four components of the objectives. Guidelines to write the learning objectives. Techniques to provide the benefits of the learner. How to create the connectivity phase. A simple technique to identify the course’s content. More than thirty presentation techniques. More than twenty exercising techniques. Important advice to ensure good practice for the learner. How to provide feedback for learners. Important guidelines in providing summaries and reviews. The basic characteristics of the course’s leader. How to reduce tension and anxiety. The learners’ styles according to VARK and how to deal with them. What to do if you do not know how to answer a question. Leading the discussion in the classroom. More than ten tips for managing class time. More than ten professional techniques to start the course properly. Important guidelines to build the speaker’s confidence. The basic principles for speeches. The non-verbal communication principles and how to benefit from them. Nearly forty skills in speaking to learners. Techniques to improve your voice effect. How to benefit from your voice speed and pauses. Techniques to improve the effect of your body language. How to use your appearance in front of learners. Ten important pieces of advice for visual communication. Excellent techniques for dealing with groups. Common problems that face new trainers and how to overcome them. What you need to know about multimedia segments.